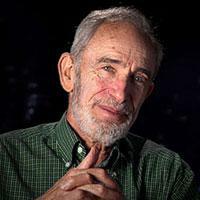 Paul Ehrlich is Bing Professor of Population Studies in the Department of Biology and president of the Center for Conservation Biology at Stanford University. He is a MacArthur Fellow, a member of the National Academy of Sciences and has received numerous honors including the Crafoord Prize of the Royal Swedish Academy of Sciences, given in areas where the Nobel Prize is not awarded, the Tyler Prize for Environmental Achievement, and the Blue Planet Prize. He is active in the Millennium Alliance for Humanity and the Biosphere. He is author of over 40 books.